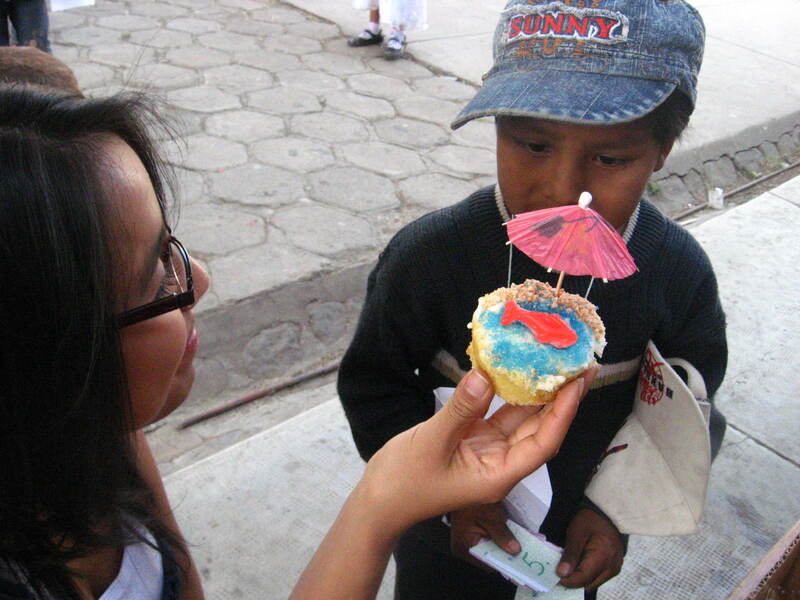 The 21st of September is Student Day in Bolivia, among many others (Valentine’s Day, first day of spring, etc.). 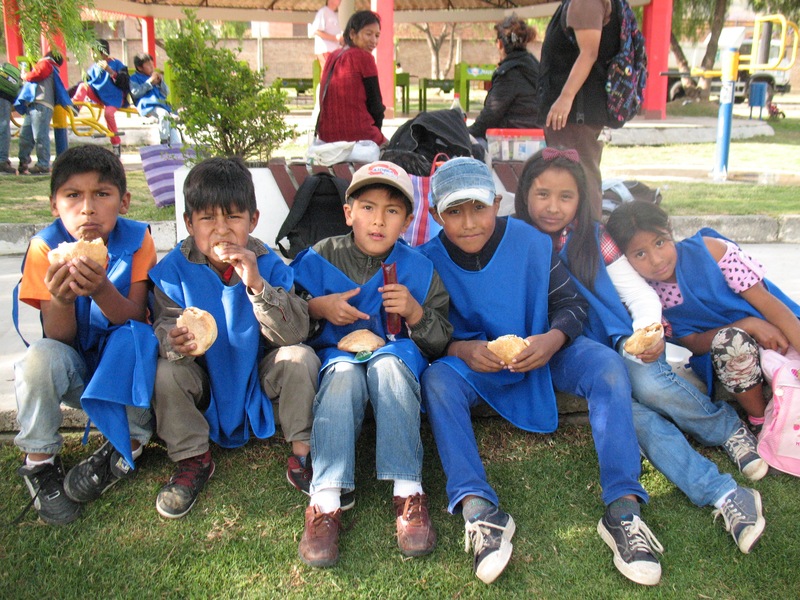 It’s an important day for Bolivian schoolchildren, and most schools and parents celebrate their children on Student Day. We hired local transportation to take The Center kids to and from Parque Bicentenario, a park nearby, and paid the entrance fee for them. 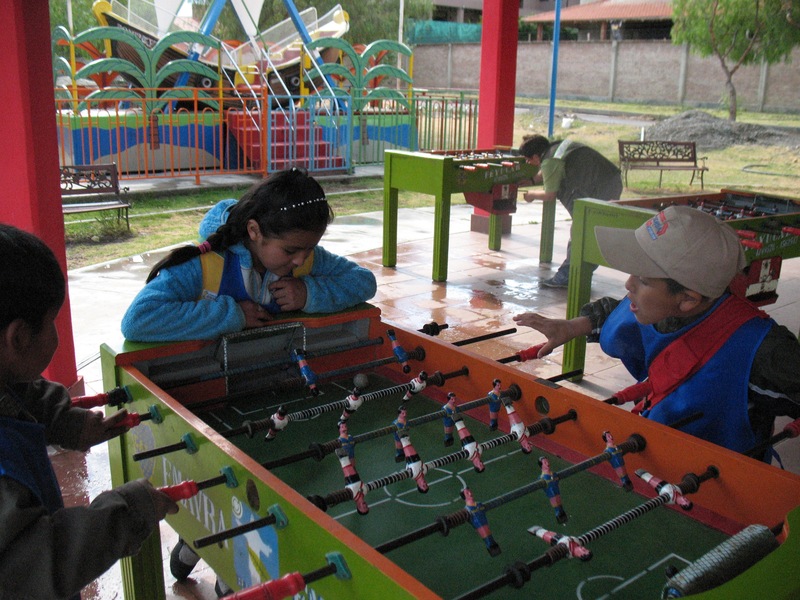 Most of the kids had been to Parque Bicentenario before, as they just live up the hill from it, but they were excited about swimming in the pool, playing foosball with their friends, and doing things they didn’t normally get to do with their families. We also had peanut butter and jelly sandwiches for each of them halfway through the afternoon. Most of the kids had brought a little bit of spending money, too, to buy ice cream, jello and other little snacks offered at the park entrance. It was a fun time for all the kids and as they left to go home, they had big smiles on their faces. 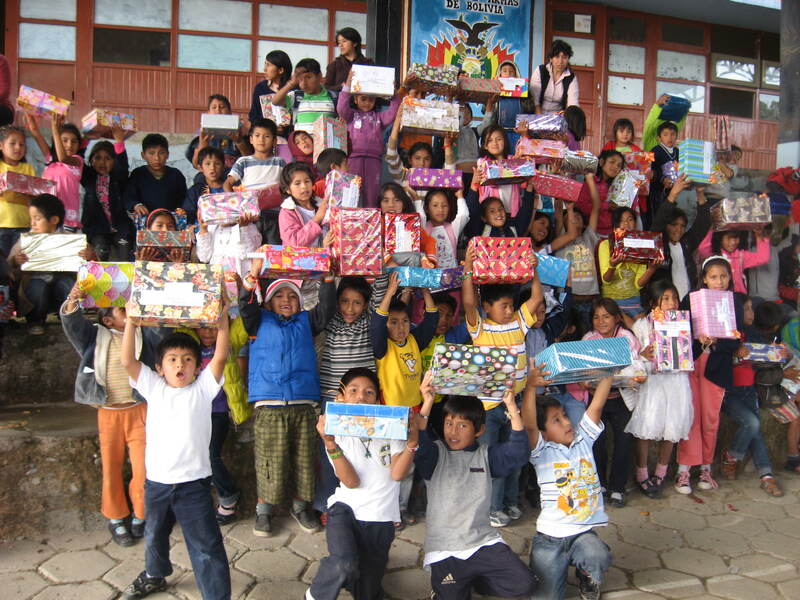 To celebrate Children’s Day at The Center, the Center director, Joana, organized an “Operation Christmas Child” style shoebox drive. 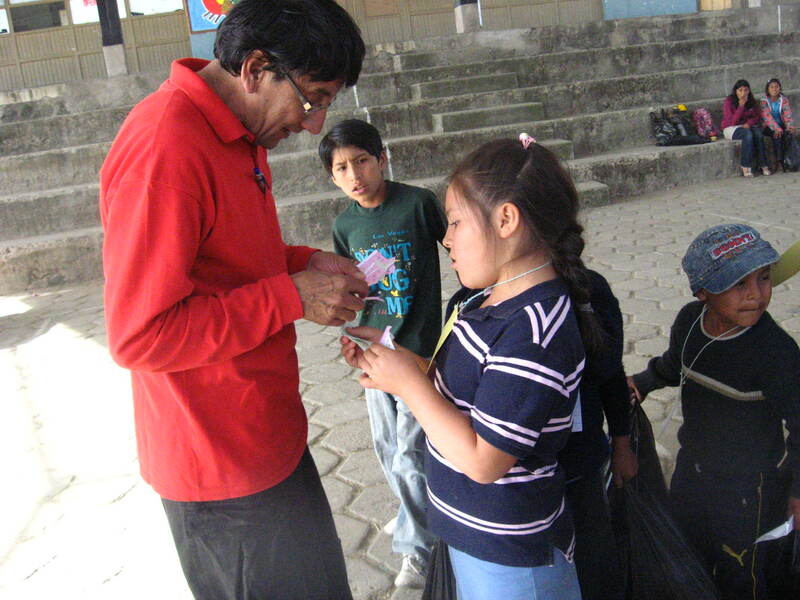 The goal was not only to provide students with school supplies and toys, but to involve local churches and the Bolivian Christian community as a whole in the work we do in Taquiña Norte. 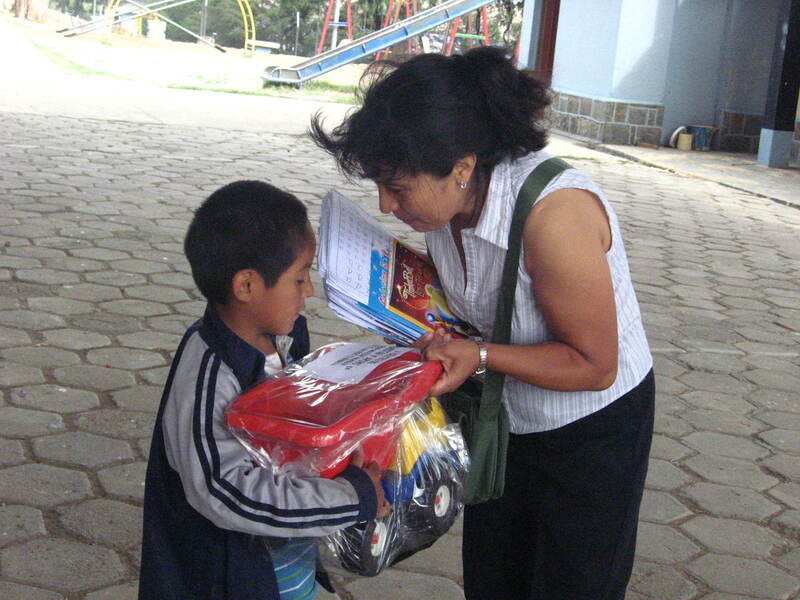 The kids were thrilled to receive their boxes, clutching them to their chests like it was Christmas! Each child arrived with a big grin on their face, some jumping up and down with excitement, thinking about all the special treats and fun that lay ahead. It was a great opportunity to lavish God’s abundant love on these little ones who don’t have that many bright spots in their lives. 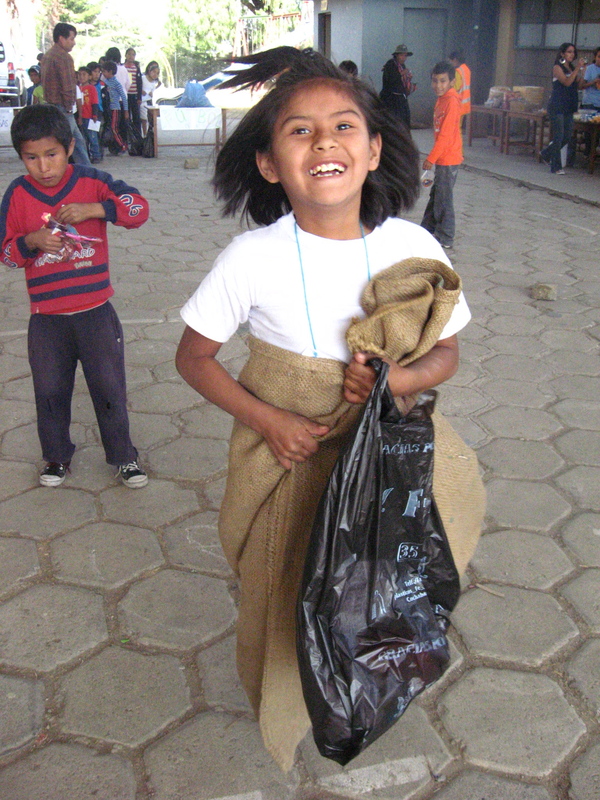 We started out with games for the kids, sack races, egg relays and an obstacle course. The kids screamed and yelled as they competed with the other teams. 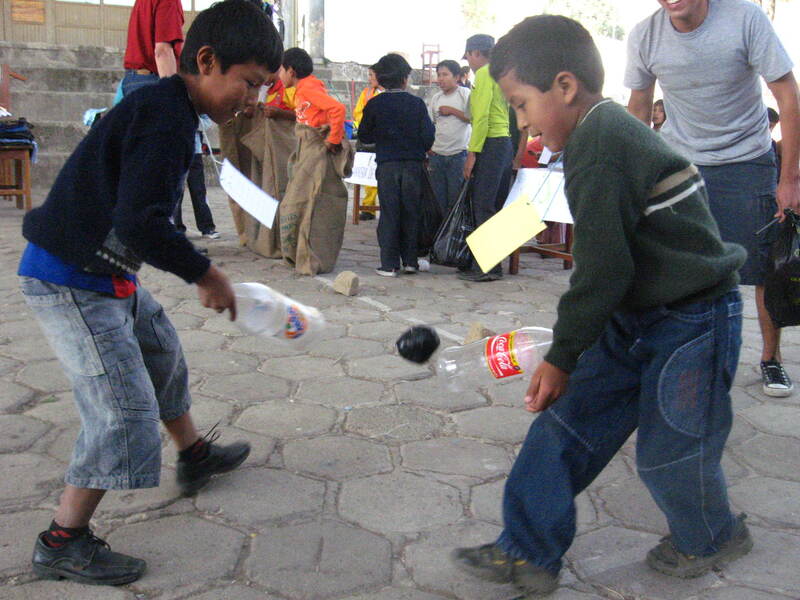 It was special for them to have organized games, and to have lots of adults there to protect them from harm, unlike when they normally play out in the street at home. After the games, Joana shared the gospel story with the kids and their parents, using big storybook pictures and acting out the parts not shown in the pictures. The kids were enthralled, captured by Jesus’ love, so strong, that He died on the cross for them. 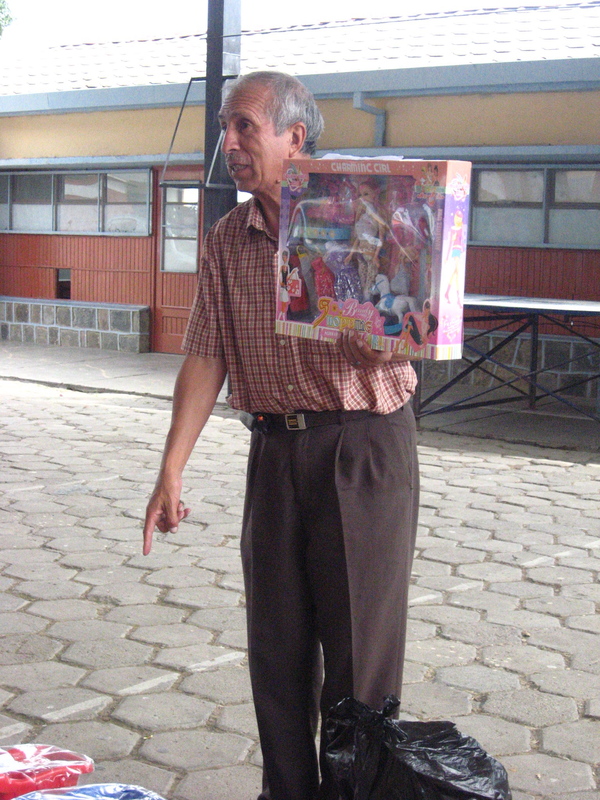 After sharing the gospel, we passed out the shoeboxes with a hug and words about how the boxes were an expression of God’s deep love for them. This year’s Christmas celebration looked different, as we still aren’t able to work out of our new building. We improvised using the school’s facilities. This was our last activity of the year as most of the kids left the next day for the rural countryside. 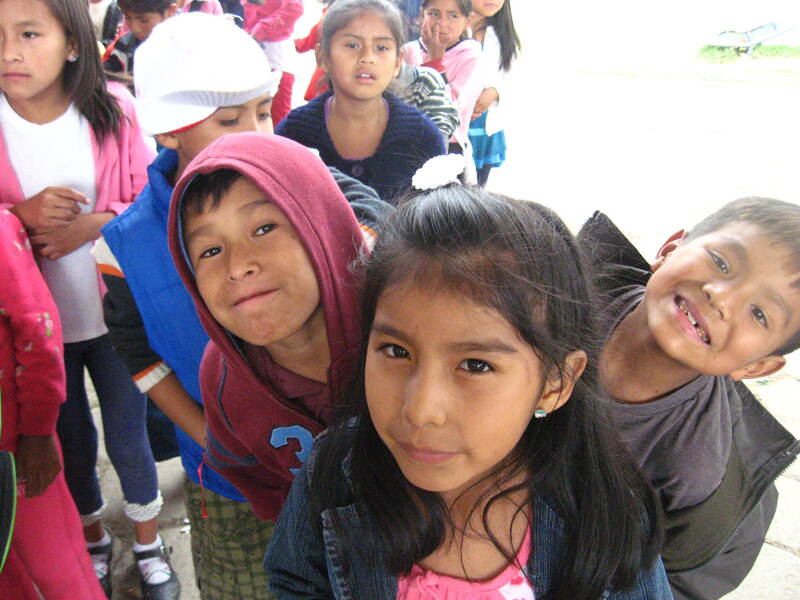 Our hope is that each child will come back at the start of classes next year and re-enroll in The Center. 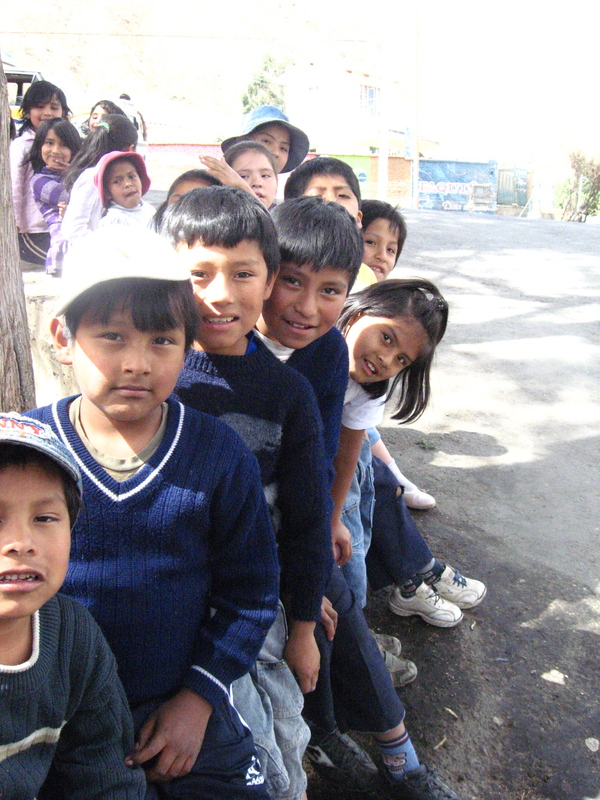 The longer we’re able to work with the same children, the more seeds we’re able to plant. The girls got dolls or a special doll set (for the older girls) and the boys got big dump trucks or a special collectors set of “Cars” Lightning McQueen (for the older boys). Each kid with consistent attendance received a big plastic ball and other little goodies for improvement or good behavior. As each child came up to receive their gift, their teacher spoke words of praise, recognition and encouragement over them. Most of the kids hung their heads or looked away shyly, but the quiet smile that snuck over each face showed how deeply pleased they were to be singled out in front of their peers. Some parents came with their children, and all of them were pleased with what their children received, grinning almost as much as their children! 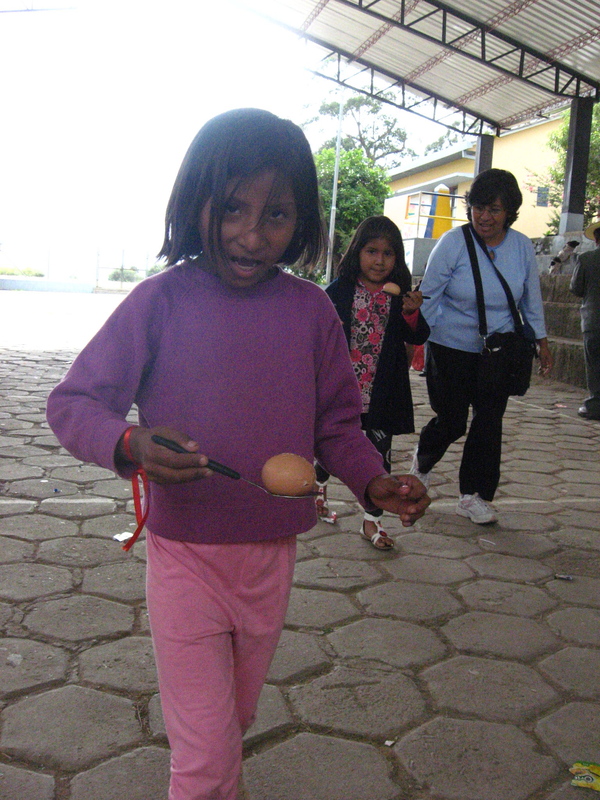 The next day, many of the children left for the campo (their rural roots) to shepherd sheep, take care of family potato crops, etc. 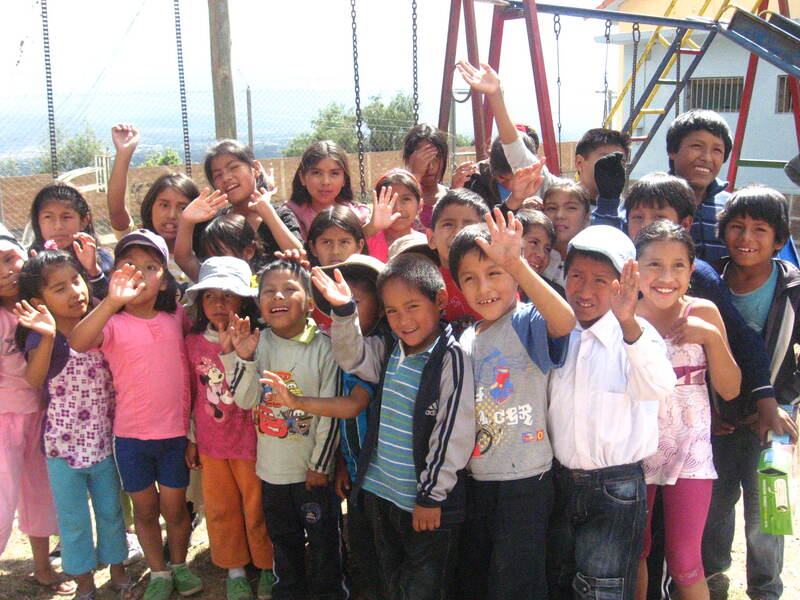 We hope to work with the same kids next year when they all come back the end of January when school starts. 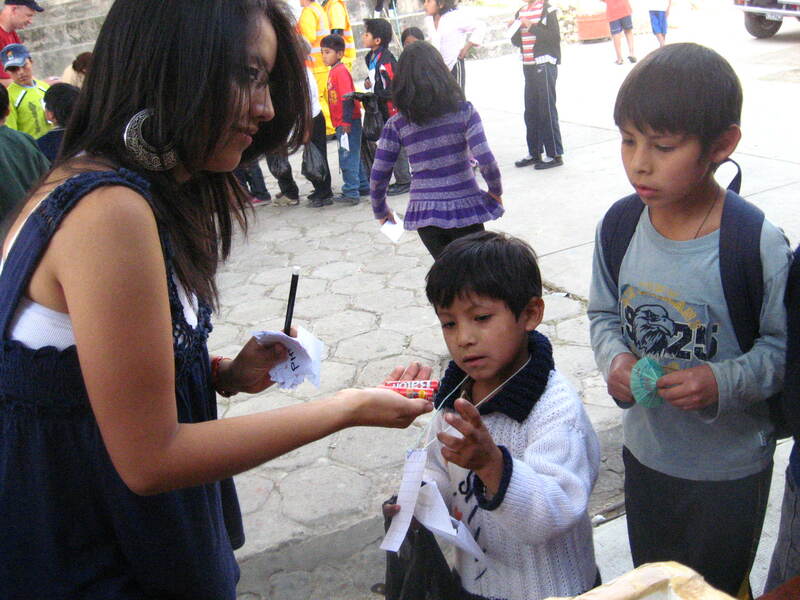 It was a great end to our first year working in Taquiña Norte! 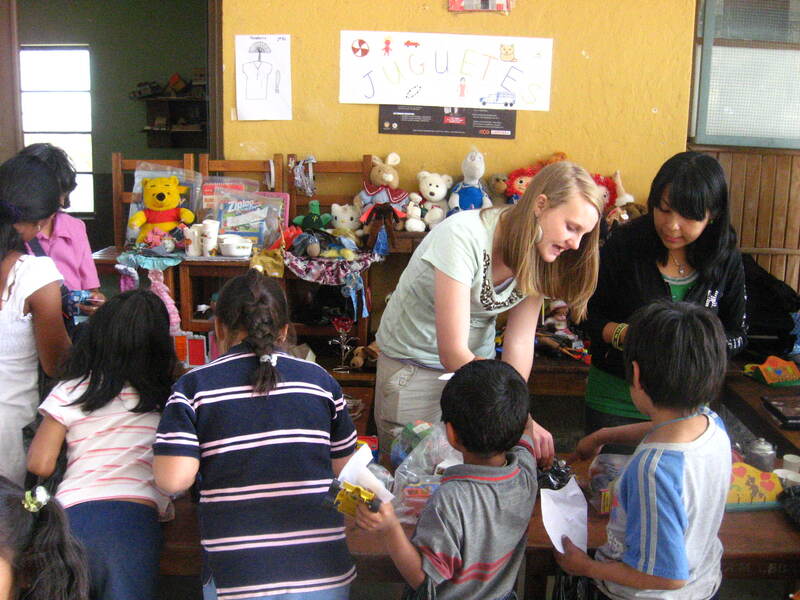 Several times a year, we hold a fair for The Center kids. This was the first fair at the new Center location, and the kids were so excited! 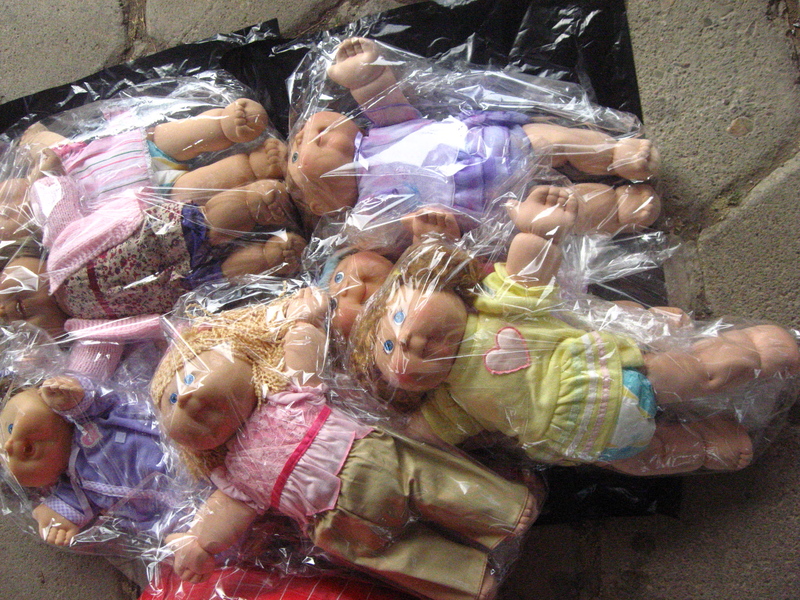 The kids were given fake money based on their attendance and behavior in the last 5 months. 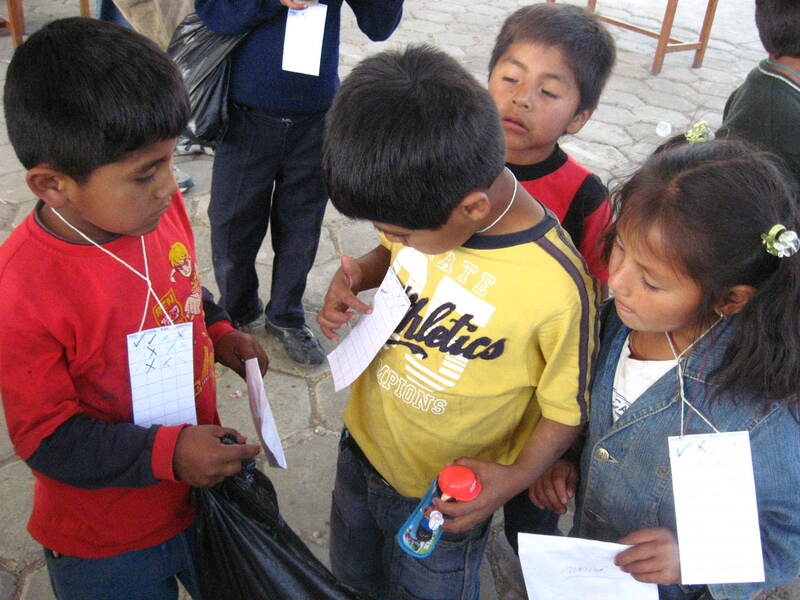 Center kids got to spend their money at 4 different stations: food, toys, clothes and games. 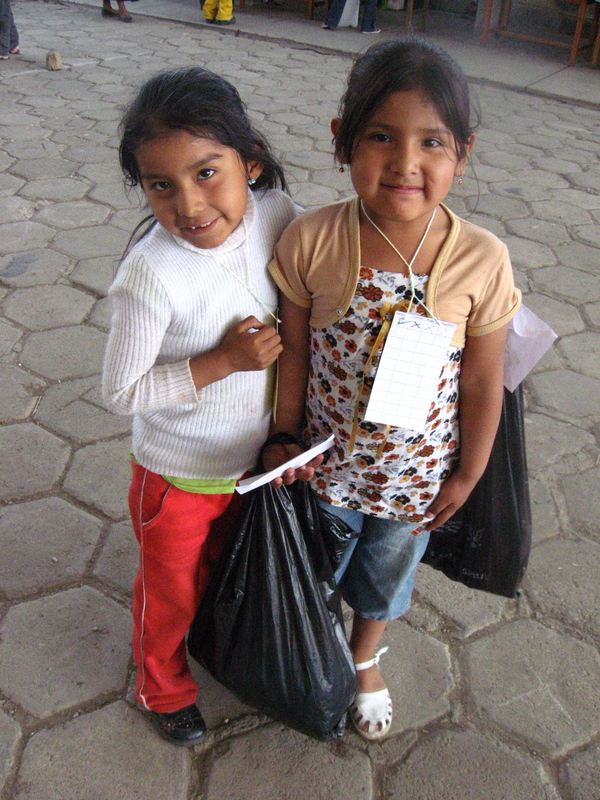 At the end, the kids went home with full garbage bags of clothes, toys and yummy food. It was a chance for The Center team to pour out our love on the kiddos and to reward good behavior from the past few months. The kids made the connection between their attendance and good behavior and the amount of money they had to spend. Hopefully it will encourage more good behavior in the months to come! A few parents came (we also had a station of adult clothes for the parents to take home) and they were delighted by the fair. One dad called the whole team over and shared how touched he had been by The Center and all we had done for his son. 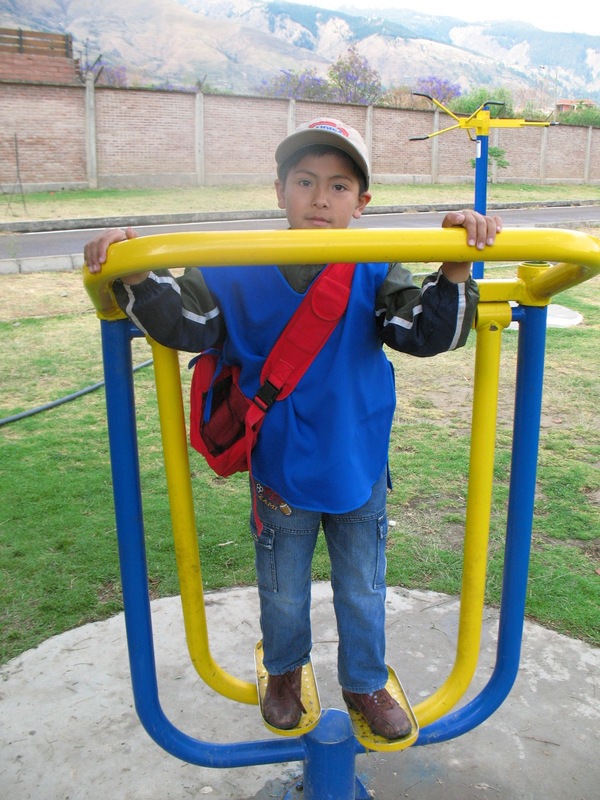 At the beginning of the year he was really struggling academically and had improved significantly after attending classes at The Center. 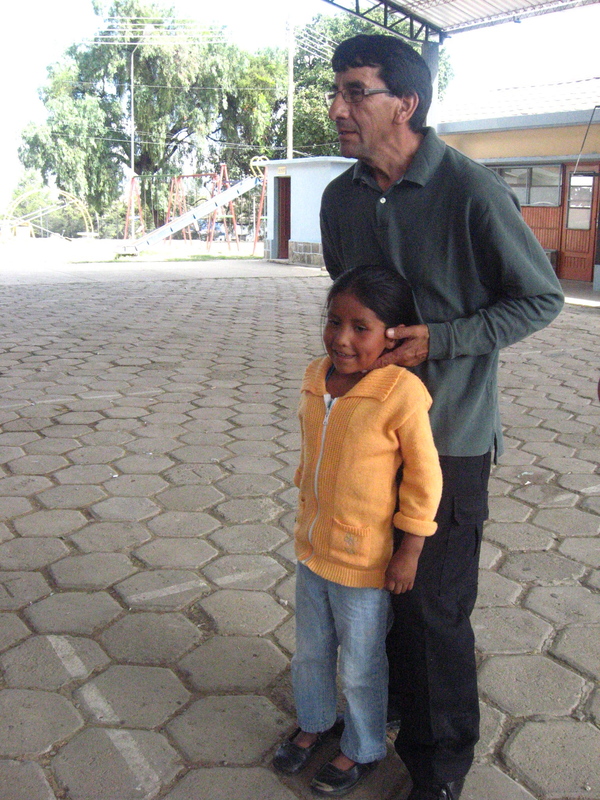 The director of the school we partner with (and where we currently hold Center classes) shared with tears in his eyes how much our work meant to him, and how much of a difference The Center makes in the lives of the kids. We’re truly grateful for the ways that God is using our ministry to bring hope to the hopeless. All praise and glory be to Him! !